David Price made a winning return to action with a comfortable six-round points victory over Poland’s Kamil Sokolowski at the Brentwood Centre in Essex on Saturday night. 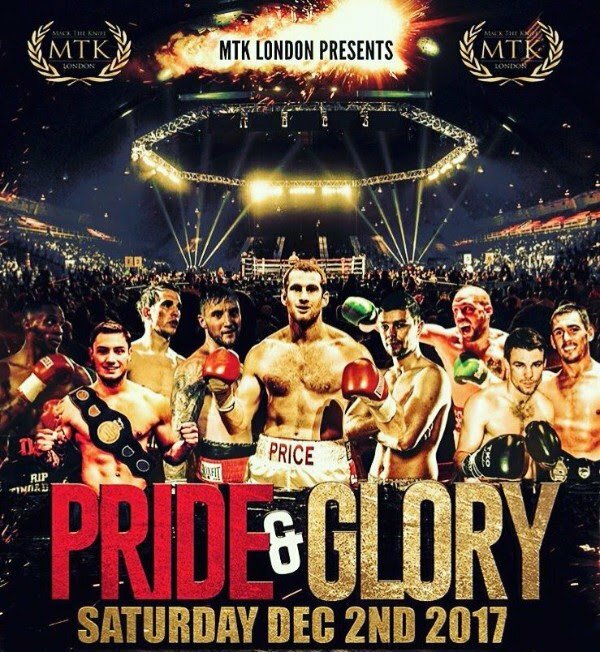 Headlining MTK Global’s ‘Pride & Glory’ fight bill, which was broadcast live by iFL TV on YouTube, former British and Commonwealth champion Price was back in the ring for the first time since a stoppage loss to Christian Hammer last February. Having boxed less than four rounds in the year prior to his loss to Hammer, the 2008 Beijing Olympic medallist had claimed prior to Saturday’s bout that he was eager to clock up some much-needed ring time. Price succeeded in that mission as he gradually moved up the gears before claiming all six rounds in a 60-54 decision over tough Polish journeyman Sokolowski. Price was patient in the opening round, using his jab as he warmed up while he moved on to his back foot in the second as a game Sokolowski pursed him. The 34-year-old upped his work-rate in rounds three and four, beginning to take control in the latter. With Sokolowski marked up on his left eye, the Pole appeared to lose some zip in the fifth while Price had found his rhythm throwing a fluid jab and a couple of heavy right hands. The bout marked only the sixth time in Price’s 26-fight career that he has gone past the fifth round and his points victory improves his pro record to 22-4 (18KOs). A number of talented MTK Global fighters featured on the undercard. Northampton middleweight Kieron Conway was the first MTK fighter in action and he impressed early on, recording a second-round stoppage over Bangor’s Casey Blair. With Blair trapped on the ropes, Conway unleashed a series of heavy hooks with both hands to force the referee to step in as he boosted his unbeaten record to 5-0 – all of the 25-year-old’s wins coming in the past year since his move into the paid ranks last February. Essex middleweight Tey Lynn-Jones notched up his ninth pro victory with a six-round points win over Harry Matthews. Jones had his opponent down twice in the third, a left-right flooring Matthews before another combo sent him back to the canvas, but the York man bravely managed to see out the round. Lynn-Jones had the better of the remaining rounds of what transpired to be fairly competitive bout with the local claiming a 58-54 points decision. Former Irish Elite amateur champion Gary Sweeney wasted no time in getting back into the swing of things after a year out of the ring. Galway-born Mayo light-heavyweight Sweeney made short work of Imantas Davidaitis, cutting the 6ft 8½in Lithuanian giant down with a left to the body followed by a right to the head as the undefeated Irishman recorded an impressive first-round stoppage and his fourth pro win. Irish light-middleweight champion Paul Upton extended his undefeated run to 15-0 with a tight points victory over Doncaster’s Adam Jones. Fighting at a higher weight than usual, Upton struggled at times against the naturally bigger Jones but the 29-year-old managed to scrape a 58-57 call to maintain his perfect record. Light-heavyweight Dan Azeez made a successful pro bow, dominating his four-rounder against Bulgarian journeyman Daniel Borisov. A solid amateur, Azeez opted to turn pro at the age of 27 and put in a promising debut performance. The Londoner rocked Borisov with a right hand during the second round, while Azeez also briefly displayed some switch-hitting skills. Borisov was deducted a point and went down twice as he struggled to see out the final round before Azeez was awarded a 40-33 points win. Middleweight, 6 rounds: Kieron Conway (Northampton, 5-0) bt Casey Blair (Bangor, Ireland, 4-36) TKO2. Middleweight, 6 rounds: Tey Lynn-Jones (Essex, 9-1) bt Harry Matthews (York, 15-25-2) PTS58-54. Light-heavyweight, 4 rounds: Gary Sweeney (Mayo, Ireland, 4-0) bt Imantas Davidaitis (Klaipeda, Lithuania, 6-26-1) KO1. Middleweight, 6 rounds: Paul Upton (London/Belfast, 15-0) bt Adam Jones (Doncaster, 6-28-5) PTS58-57. Light-heavyweight, 4 rounds: Dan Azeez (London, 1-0) bt Daniel Borisov (Sofia, Bulgaria, 6-21-2) PTS40-33. Heavyweight, 6 rounds: David Price (Liverpool, 22-4) bt Kamil Sokolowski (Czestochowa, Poland, 4-12-2) PTS60-54.